Resort condominiums located just a five minute-­drive to Walt Disney World® will support immediate construction jobs with permanent positions added as the opening approaches. Orlando, FL – Orlando’s newest vacation resort destination, The Grove Resort & Spa, is gearing up for a mid-­‐November grand opening of its first phase. The Grove’s 878 residences will be sold fully furnished as two-­‐ and three-­‐bedroom vacation home condominiums. The owner then has the option to place the unit in the resort’s hotel rental program. Onsite property management company Benchmark Hospitality International will facilitate the hotel rental program and provide service to the resort guests. Developer BTI Partners has engaged numerous Central Florida-­‐based companies, including architects Humphreys & Partners and L2 Studios, interior designer Lori Rapport, landscape architects Perry Becker and Welbro Building Corporation as general contractor. More than 150 construction positions are required to bring the project to market. Billed as the largest development of its kind currently underway in Orlando, work at The Grove began in early May. The resort will start accepting reservations on June 15th for arrivals beginning December 1st. Approximately 120 permanent staff will be hired in advance of the first guests’ arrival for this first phase. The amenities, including multiple food/beverage facilities and a water park overlooking a nature preserve, will open shortly thereafter. When The Grove Resort & Spa is operating at full capacity, it will employ up to 1,200 staff. Phases two and three are planned to open over the course of the next three years. Local Realtors stand to benefit from the development, as well. It is anticipated that upwards of 90% of vacation home sales at The Grove will be contracted through local Realtors. The Grove Resort & Spa is offering 12% commission to Realtors and brokers. Prices for a two-­‐bedroom residence start from $255,000, while three-­‐bedroom residences start from $294,900. The Grove Resort & Spa is ideally located just five minutes west of the Walt Disney World® entrance and just minutes to the 20 major theme and water parks that attract 66 million visitors to Central Florida annually. Unlike its competition, The Grove is secluded from the noise, neon glare and traffic of other resorts. Sitting on 110 acres overlooking the natural beauty of Lake Austin and adjacent to a nature preserve, the pristine setting will remain unchanged for years to come. Here, owners and guests have the unique opportunity to experience Florida at its best – naturally. The Grove Resort & Spa will feature a world-­‐class, family-­‐friendly water park and amenity package with the first surf simulator at any Orlando vacation home community or hotel, a lazy river winding more than 725 feet (221 meters), three swimming pools collectively known as The Springs, a large zero-­‐entry resort pool and dining options that include three restaurants and four bars. While owners and guests will undoubtedly want to spend time at Walt Disney World®, Universal Studios Florida®, SeaWorld®, LEGOLAND® and the rest of Orlando’s world-­‐famous theme parks, The Grove also provides the ideal respite from the crowds. Unlike many hotels in the area, The Grove Resort & Spa is designed to provide an unforgettable experience at the property, not just a place to return to between theme park excursions. several Travel + Leisure World’s Best Awards/Top 500 Hotels, as well as international recognition from Conde’ Nast Traveler and Forbes. The Grove Resort & Spa will open in Orlando, Florida in November 2016 as a sprawling 110-­‐acre vacation home resort located just a five minute drive west of Walt Disney World®. Set on Lake Austin and amid a portion of Orlando’s conservation grounds, The Grove will become a sanctuary from the boisterous pace of the outside world, neighboring theme parks and entertainment centers. 878 two-­‐ and three-­‐bedroom fully furnished condominium residences are available for purchase starting from the $250,000s. Owners have the option place their residences in the hotel rental program while they are not in use. The resort’s feature-­‐rich collection of amenities will deliver the luxuries of a full-­‐service resort. Three swimming pools and the Surfari Water Park will be a focal point of The Grove experience, with a zero-­‐entry resort pool, water play island, a lazy river stretching more than 725 feet, and the first surf simulator at any Orlando vacation home community or hotel. Owners and guests will also enjoy a selection of water sports at the resort’s lakeside dock, an intimate spa, fitness center, and a children’s game room. Dining options will include the indoor/outdoor Valencia restaurant, Longboard Bar & Grill and Springs Bar & Grill at the pool areas; with additional food options available at the large scale grab-­‐and-­‐go Pickings Market. 6,000 square feet of flexible space will be available for weddings, family reunions, and other meetings and special events. The Grove Resort & Spa is managed by The Woodlands, Texas-­‐ based Benchmark Hospitality International as a member of their signature Benchmark Resorts & Hotels portfolio. The Grove Resort & Spa is located at 15665 Grande Palisades Blvd. 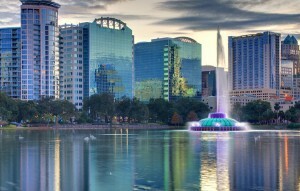 in Orlando, Florida. 844-­‐901-­‐1122. For more information, please visit www.groveresidences.com. Benchmark Resorts & Hotels® represents the finest in lodging, dining, recreational and meeting accommodations. Many are certified by the International Association of Conference Centres, the leading professional organization governing the multi-­‐billion dollar conference center industry on five continents, and many have also been recognized with the coveted Benchmark Conference Centers® certification of meeting excellence. Benchmark Resorts & Hotels deliver highly specialized service that anticipates guests’ needs and ensures a hospitality experience unsurpassed and long remembered. www.benchmarkresortsandhotels.com. To become a fan on Facebook, visit www.facebook.com/BenchmarkResortsandHotels, or follow us on Twitter at www.twitter.com/BenchmarkHotels.